Often times, our busy real lives keep us from our second lives. 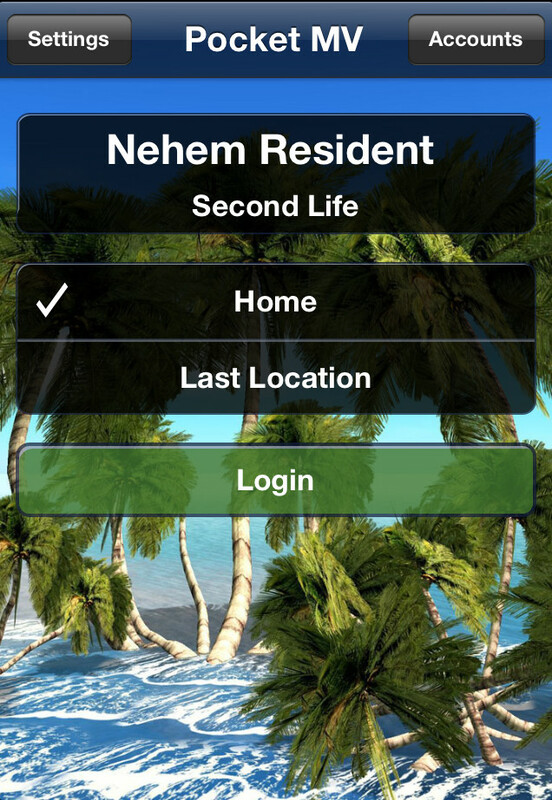 But what if you could take second life anywhere? As we all know, mobile technology has really taken off in the last few years. We can do virtually anything from ordering a pizza, to making a bill payment online. Now that the tech world has advanced even further, gaming apps are also readily available. As an avid second life user with a busy real life, I needed a way to keep up with business clients, friends and other activities in second life. As I recently switched from android to Iphone, I was unsure of what I would find. I was thrilled to stumble upon an app called Pocket Metaverse. Available for both Ipad and Iphone for just 4.99, Pocket Metaverse allows many of the second life features we know and love , including; Inventory, chat, mini map, instant messaging, world map, profiles, groups, search, photos, and more! Simply purchase the app from the store, and install. You are then taken to the log in screen, where you proceed to log in as you would on your pc at home! 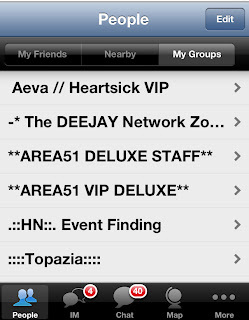 Once you are have access, you have the ability to see your friends online, as well as avatars that are near you. Click a friend and view their profile, or start up a conversation. This is an amazing way to stay in touch with your second life friends and family, while completing daunting real life tasks! You can also make payments, add friends, and teleport as well. Never miss another important meeting with a client or the chance to talk to someone that you have been waiting for! 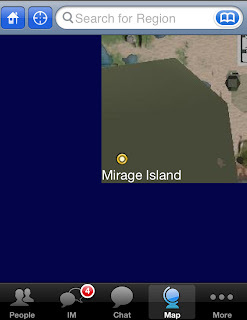 Pocket Metaverse also gives you various inventory options, including the ability to read note cards, Send and receive items, and picture viewing. This is especially useful when you have capped IM´s due to business! You have the option to see everything you may have otherwise missed that might be time sensitive and require a response. You are just a click away from constant contact, and easy accessibility. 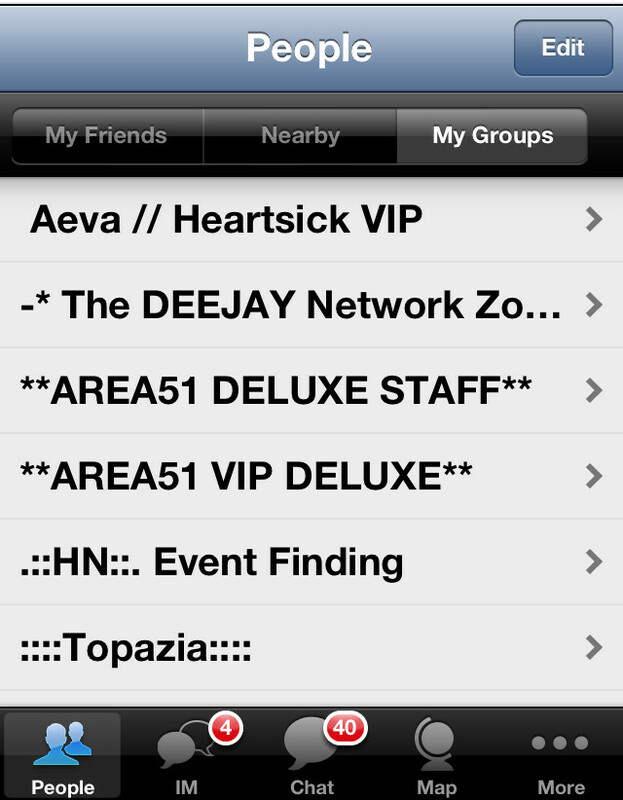 The convenient search function in Pocket Metaverse allows you to look up places, people and more! It allows you true second life freedom, as you can find what you are looking for, without the constant need to be at your pc! It is especially useful for discovering new places on the go, or finding that client, DJ, or new friend you have been meaning to add to your friends list, but just never seem to find the time. All in all, Pocket Metaverse is a small application that packs a powerful punch in both your real and second lives. It is now easier than ever to stay in touch with all those that matter most. Doing business with a click of a button is a snap!! Are you still unsure if you will like Pocket Metaverse? There is also a free, unpaid version! It doesn't have all the features of the full fledged application, but it is great for chatting with friends, viewing profiles, and reading notices on the go!!!! You can check out more about this amazing app in the ITunes store, or the Pocket Metaverse website. It’s your second life, what are you waiting for?